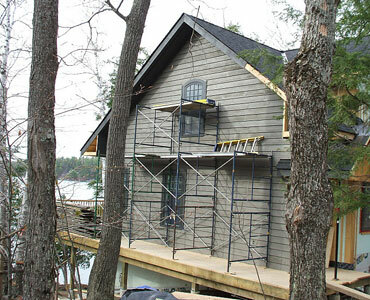 Cameron Contracting has been serving the beautiful Muskoka region for well over a decade.As local contractors, we thrive on the inspiration we take from the beauty that surrounds us every day. We pride ourselves in our ability to develop structures as gorgeous as the land it stands on. Our passion lies in building stunning, high quality custom homes and cottages to perfectly suit our clients’ needs, making their dreams come true. Our dedication to quality, reliability, efficiency and innovation is what truly sets us apart from our peers. providing you with a completely stress-free experience. 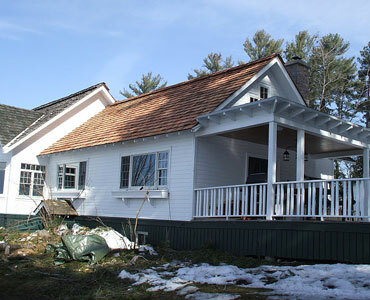 We would be delighted to turn your current residence into your dream home or cottage. 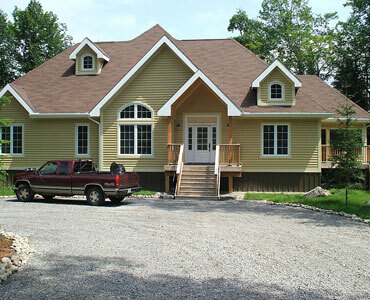 We are passionate about delivering turnkey custom homes and cottages for you and your family to enjoy for years to come. We’ll take care of everything. Our team will handle the build, as well as managing the local third-party tradespeople (plumbers, electricians, architects, designers etc.) needed to complete the project. 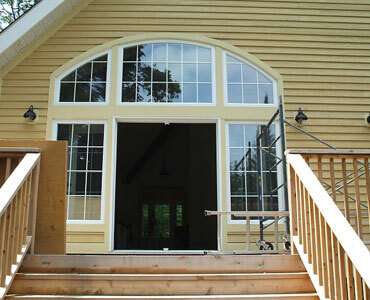 have the skills to complete the finest carpentry on the interior. 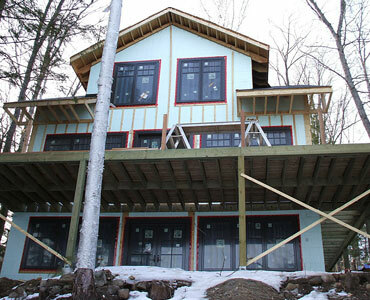 We are passionate about providing our community with the highest quality homes or cottages possible. We promise to put your family in a structure that will stand the test of time. Our reputation is paramount and we’ll stop at nothing to keep it flawless. Reliability is of utmost importance to us. We stick to our deadlines because we know that you’re counting on us to have your project completed on time. Your satisfaction is our guarantee. Efficiency is vital to our business. Speed and cost-effectiveness is critical in delivering a supreme product at a reasonable price. We are dedicated to sticking to YOUR budget because your family’s livelihood is of utmost importance to us. We are constantly looking for ways to improve through better methods and the most technologically advanced products. We love the area that we call home, so we diligently search for the most environmentally friendly and sustainable options in construction. Please don’t hesitate to call or email with questions.